I accidentally read this book in pretty much one sitting. 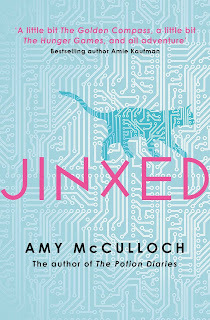 Once I started Jinxed by Amy McCulloch, I could not put it down. I ended up completely invested in Lacey's life and sped through it. I got it in my NYA Lit Fest goody bag. 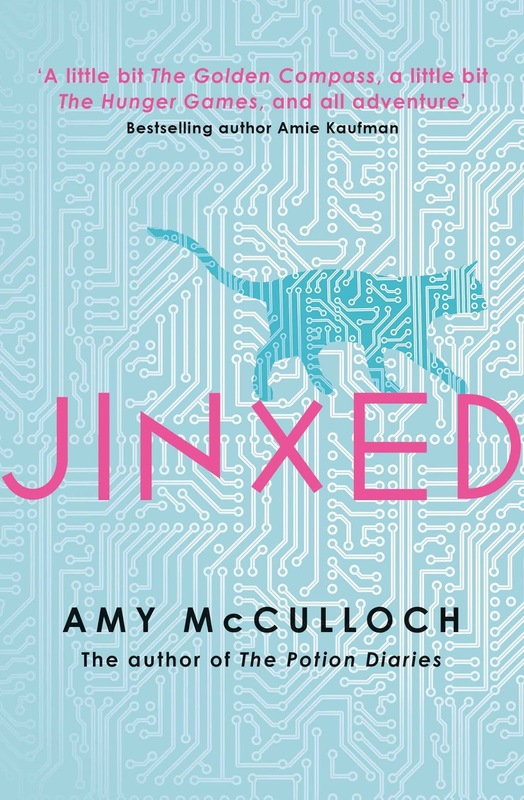 It's released in two weeks but I absolutely could not wait to share my review, and I hope you pre-order Jinxed because it is definitely worth it. 5 Words: Privilege, expectations, family, betrayal, friendship. It was a fantastic sci-fi that sits so close to the world we know that it didn't take much suspension of belief to immerse yourself in the world. I loved the engineering aspects, the coding aspects, the whole technology of the baku's (I want a baku). Even the setting itself, a whole town centered around and dominated by a single company, sprang to life before my eyes. I loved Lacey so much. Her story really explores privilege, and how not having it puts you at a disadvantage, always. And I love how she rallied against it. Even with the most crushing disappointment weighing down on her, her resentment at the privilege of others, she still acknowledged her own privilege and pushed on to do her best when everything seemed stacked against her. She works hard. There is a delicious thread of mystery throughout the story, and I was always kept wondering about the why. WHY did this or that happen? WHO was behind it? WHAT is the bigger picture that's being hinted at. Although it could technically be read as a standalone, Jinxed is so addictive and has SUCH and ending that I can't wait for the next one. It's definitely one I'll reread as I loved Lacey (and particularly her friendship with Zora) and I'm now off to read some of the author's other books. I'm really lookimg forward to reading this! I love stories centred round interesting animals (animal-type simulations in this case), and I liked The Potion Diaries trilogy a LOT. 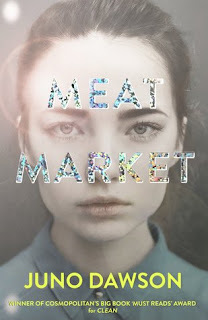 I love such sci-fi reads that makes me wonder how our future could look like, def need to try this. love the timing since I wrote a book review today on my blog as well. you have to love a review that starts with your first sentence. I love the idea of accidentally reading a book in one sitting! And isn't that ending a cliffhanger!